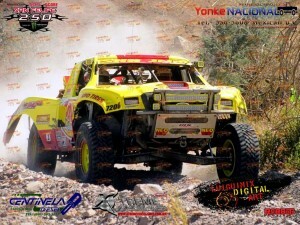 Whether you are a racing fan or not, the San Felipe 250 is a great opportunity to enjoy a little taste of Baja racing. Scheduled from February 27 to March 2, 2014, the event is free to view. Of course, you will need to consider finding accommodations for the event, and you will definitely need Mexican auto insurance through MexicanInsuranceStore.com. San Felipe may only be a couple of hours south of the border, but you can have big problems at any point that you are involved in an accident in Mexico without proper Mexican car insurance with MexicanInsuranceStore.com. Get details like your auto coverage and your accommodations handled early so that you can focus on the big race. Mexican auto insurance through MexicanInsuranceStore.com is now required in order to drive in Mexico. You’ll find that Baja offers lots of venues for RV stays, an easy way to travel without having to worry about hotel accommodations. February and March temperatures in San Felipe tend to be mild, making this community a great spot for the snowbird and an excellent location for an event like the San Felipe 250. Your Mexican auto insurance through MexicanInsuranceStore.com will also work for RV travel, and you can enter the details when you quote prices for different policies. If you tow an auxiliary car for getting up close to the racing action without breaking camp, then you will also need Mexican car insurance with MexicanInsuranceStore.com for that auxiliary vehicle. Your policies are written for one vehicle only, but your towed car must be listed as a towed item on your primary policy. If the San Felipe race whets your appetite for action, then you may want to return for the Baja 500 in June and for the Baja 1000 in November. You can get long-term Mexican auto insurance through MexicanInsuranceStore.com to address these and other travel interests throughout the year. This is the best coverage value if you will spend more than three weeks driving in Mexico over the course of the year. It will also save you time as you can pick up and travel when you want to. Of course, if you decide to join the racing activity as a participant, you will need to consult with race representatives about accident protection. Attending the San Felipe 250 will certainly grant you the best Baja racing experience. A few hours drive will get you to Baja although buying Mexican car insurance is also prudent for you can never tell when you get into an accident. Baja racing events are usually set on different months of the year so if you buy full Mexican auto insurance you will not have any trouble getting into the city whenever you want to attend any of these events. Attending the San Felipe 250 will certainly grant you the best Baja racing experience. A few hours drive will get you to Baja although buying car insurance is also prudent for you can never tell when you get into an accident.